This time I'll be checking out their new label, Black's Station. Black's Station is what the town of Zamora, within Dunnigan Hills, used to be named. Needless to say, the vineyards that make these wines are in Zamora. 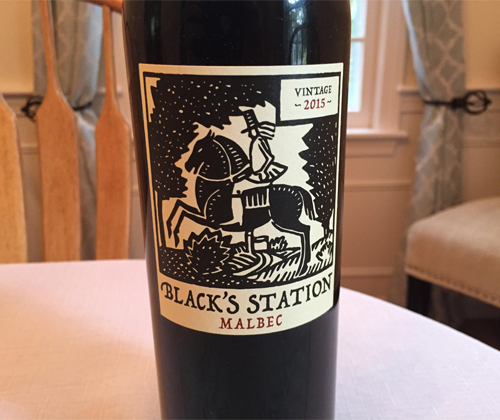 I've already tried Black's Stations 2015 Chardonnay, now I'm on the 2015 Malbec, then I'll move on to the 2014 Red Blend, and finally 2015 Cabernet Sauvignon. That's right, baby! Malbec! It's been growing in California for quite some time and now it's getting done right! Malbec just isn't for the French and Argentinians anymore, friend. The color of the wine is a vibrant purple. There's a big minerality and pepperiness to the nose, along with aromas of violets, tomato, and blue raspberry. It's medium bodied with sweet tannin and low acidity. There's flavors of juicy black cherries, blue raspberries, mocha and a sprinkle of mustard seed (which I get from Malbecs all the time and nobody else seems to, apparently). It finishes with raisins and a dusty minerality. Lately I've been turned off by Malbecs overall but this is a solid offering. It's no Santa Julia, which is stellar and runs for the same price, but it's certainly better than Trapiche or Alamos. It's also juicier than those Argentinian Malbecs, making a statement that it's from a different climate entirely. I like it. You'll like. It's not going to make you wax poetic or sing its praises, but I honestly don't see how anybody can be disappointed with this at $12. 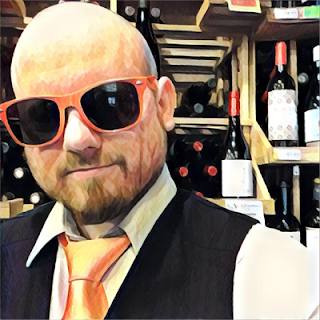 It's solid Cali Malbec at the right price.